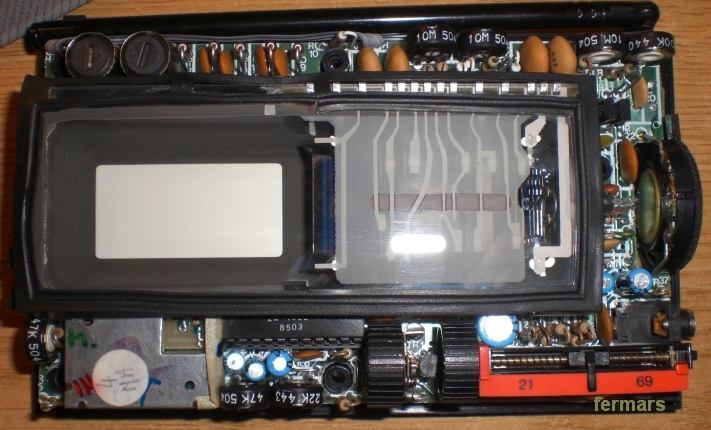 Sinclair FTV1 is one of the most interesting and amazing televisions from the 80s, not just because is a Sinclair device but also because is a really pocketable one that integrates a tiny CRT that give us a 2,5" screen size. 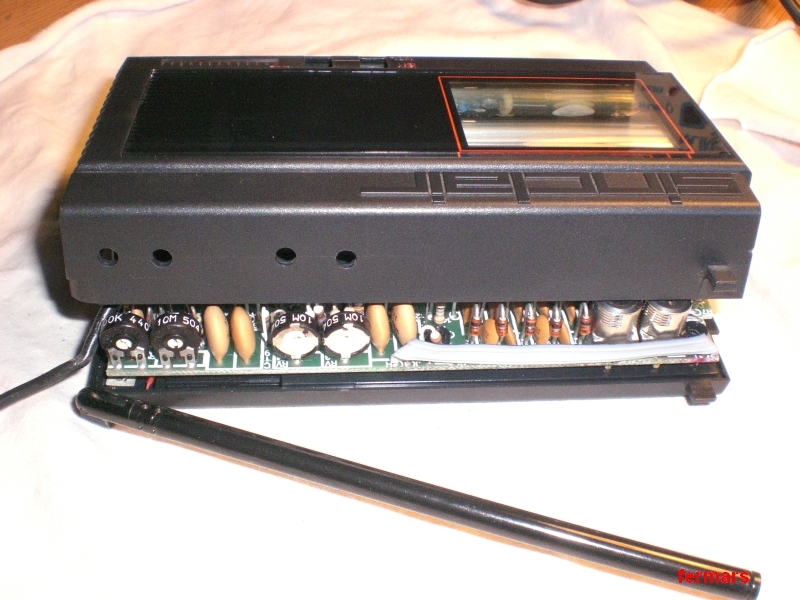 Internally the electronics are very well integrated, there is almost no free space inside to be sure you get a real miniature television and the best of all, it works really well even with lithium batteries developed by Polaroid that could feed the TV for about 6 hours before run out. The problem today is that there isn't any possibility to receive TV signals because as you know some time ago the analog broadcasting ended up giving way to the digital era. Anyway, there is one (or may be more) possibility to get back to life this cute device and enjoy again this tiny black and white screen. 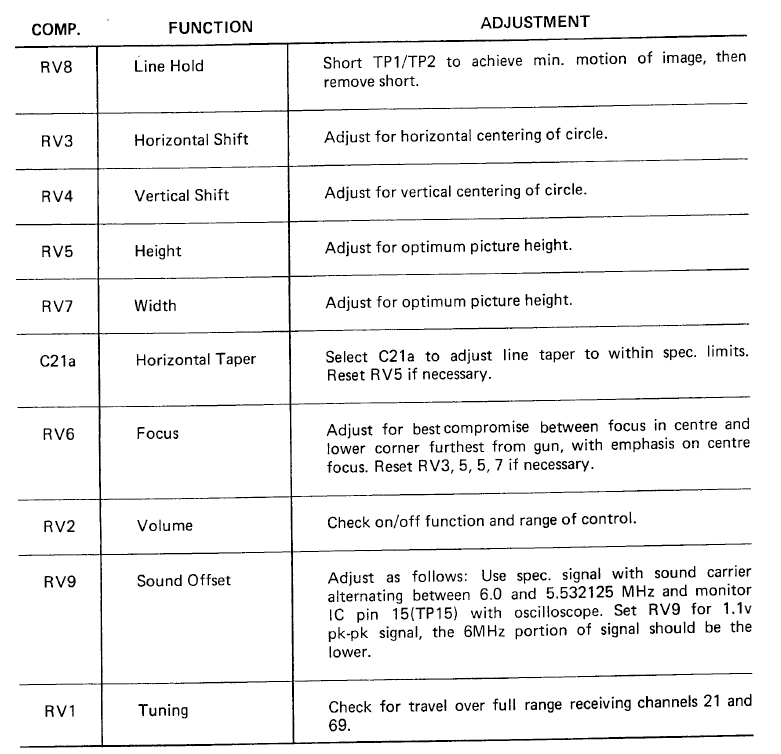 At this point we can forget the telescopic antenna that comes with the TV and we have to find the way to insert the RF signal directly to the circuitry so any RF emitter device like any old computer as our beloved ZX Spectrum can works with it. You can also watch television using a modern TDT (DVB-T) tuner because some of them (be sure of that) holds a RF output connection. Note: I am not going to explain how the TV works, I am sure you can find lots of information about it on Internet just searching a little bit. In this tutorial I will go get to the point. In my case, I managed to add a female antenna connector doing just some small and easy modifications. Actually, you have to add a shielded cable (just one live in center) and solder it in two points, where you can find enough room to work. The following pictures are almost self explained but I am adding some comments to be sure you understand perfectly. Step 2. Gently, lift the circuit board up a little. 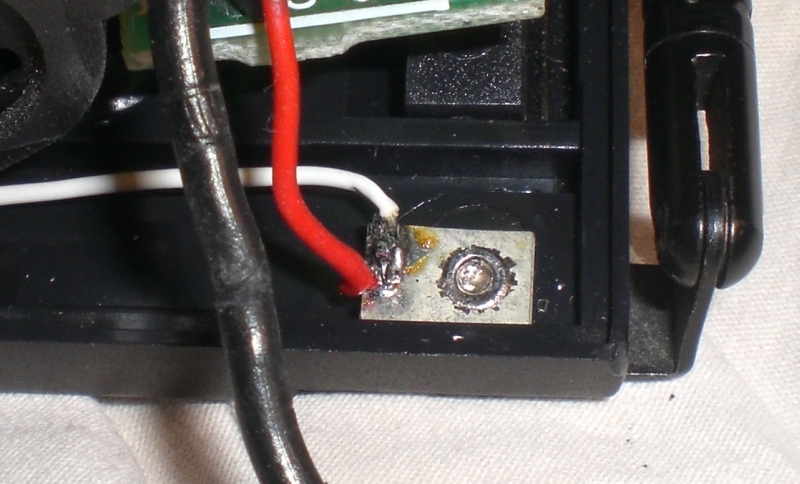 We need to have acces to the antenna base that is near the speaker, and where you have to solder the positive pole. Also, locate the position of the C20 capacitor (empty) in the same area where you can find the negative pole. Step 4. 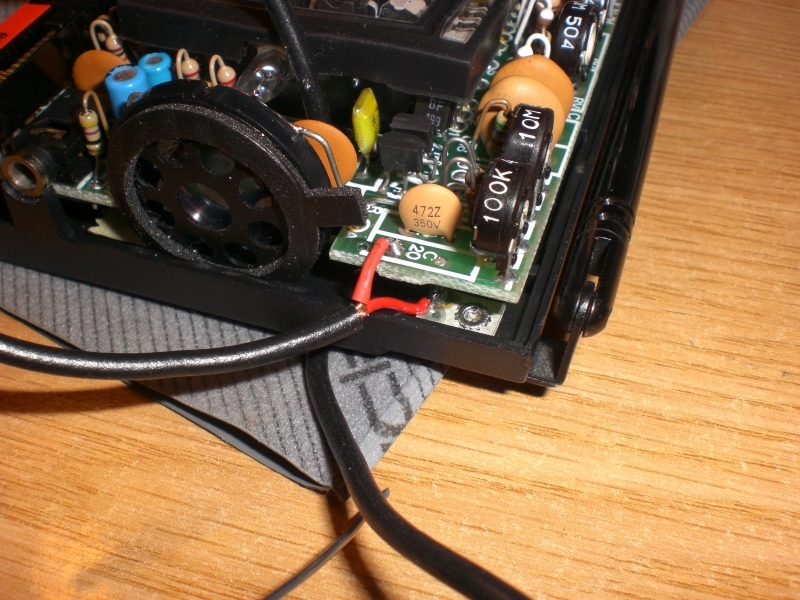 The only way I found to get the cable out is the side of the housing where the C20 is, there is no other near hole so you have to make a small one in the top cover like this. A better way to do it is to attach directly a female RF connector to the housing, it would be more integrated and in my opinion it would look like as if it were from factory, but I don't have one and I decided to add that cable. Step 5. Now you have to install the RF female connector to the end of the cable and... that's all! Please, note that the power connector to TV is center negative. There is no protection so the television will "blow up" if you confuse the poles. BE CAREFUL. Now some videos I've made, they are already published in Youtube. 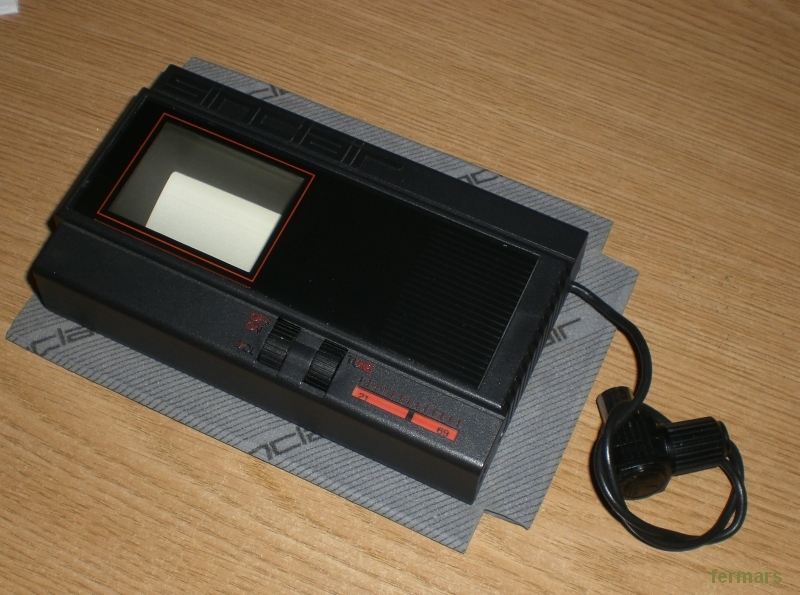 This one is a test connected to the ZX Spectrum, loading and playing JETPAC. The focus is not very good but is my photo camera fault. Click in the links below if you cannot see the video player. Second, another example of the FTV1 playing real television, taking the signal from a TDT with RF output. I can use the remote to switch channels and change languages, great!! What's next? 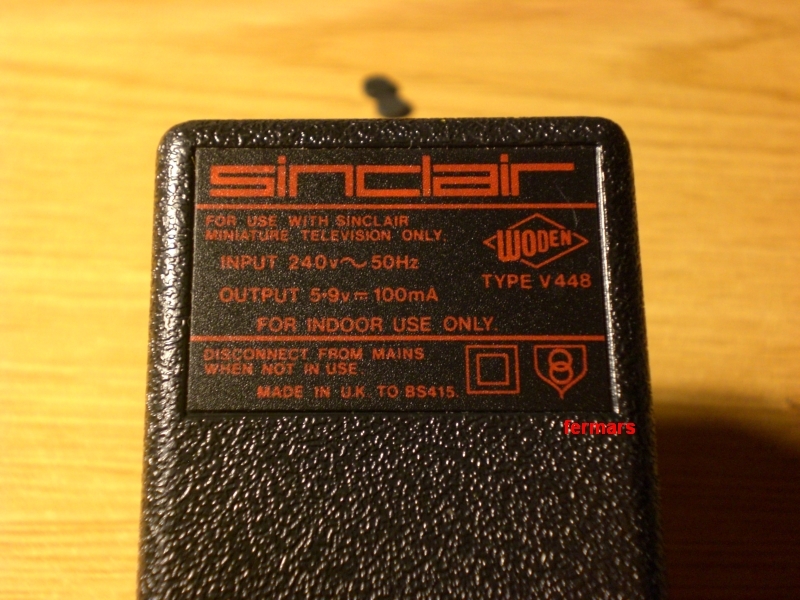 Nothing, enjoy your new modified Sinclair TV in the 21st century!